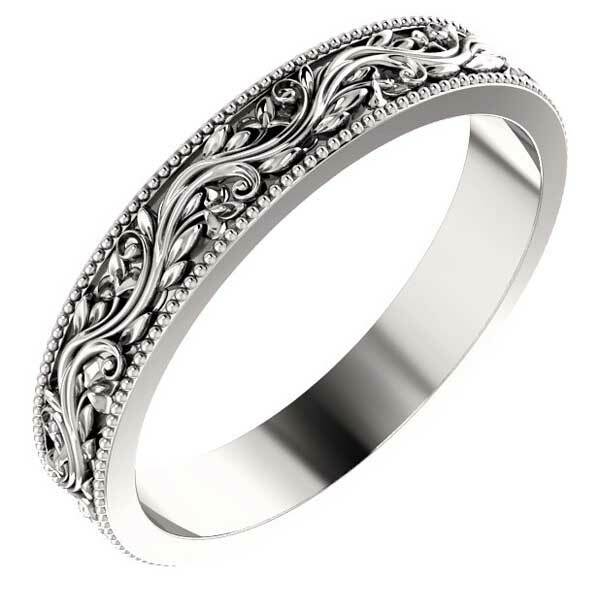 Women's sculpted paisley wedding band ring crafted in pure 14k solid white gold, from Apples of Gold Jewelry. 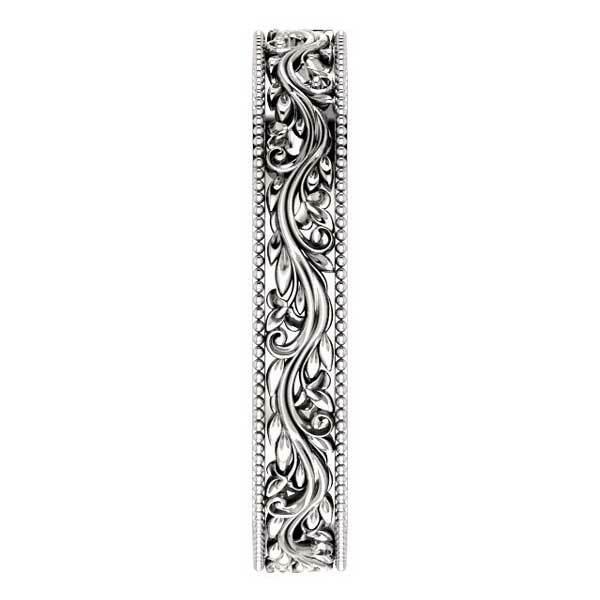 This paisley wedding band for women measures 4mm wide and 1.69mm thick and is available in women's sizes 4 through 9, including half sizes. The ring's weight varies based on size, but averages between 4.5 grams (for smaller sizes) to just over 5 grams for larger sizes. 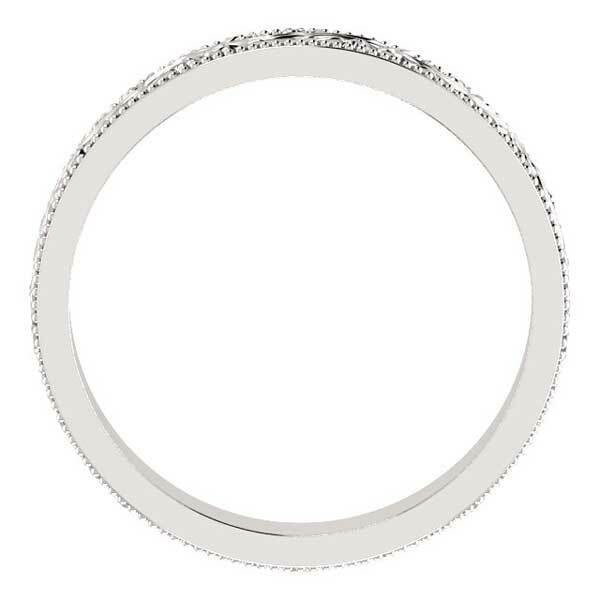 You can also personalized the inside of the band with engraving of your choice. 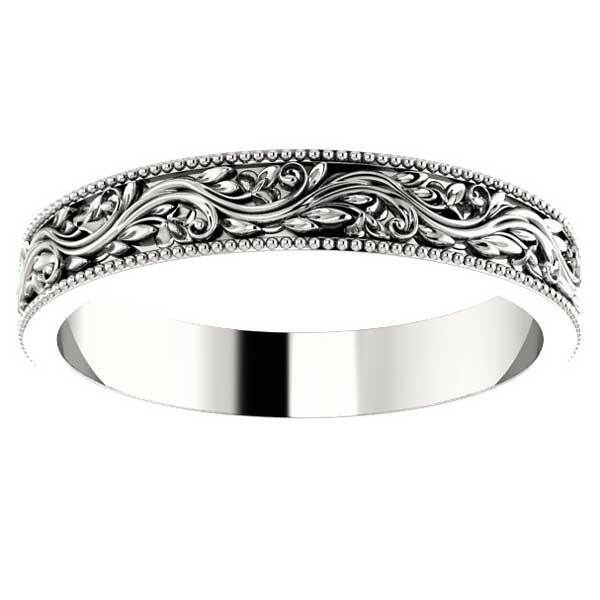 We guarantee our Women's Sculpted Paisley Wedding Band Ring, 14K White Gold to be high quality, authentic jewelry, as described above.